The Osteoarthritis (OA) Information Tool for Patients will be a valuable information and education resource for people experiencing early or established hand, knee and/or hip OA. The Arthritis Alliance of Canada, The College of Family Physicians of Canada and the Centre for Effective Practice need your help to inform the development of a new and valuable information and education resource for people experiencing early or established hand, knee and/or hip osteoarthritis. 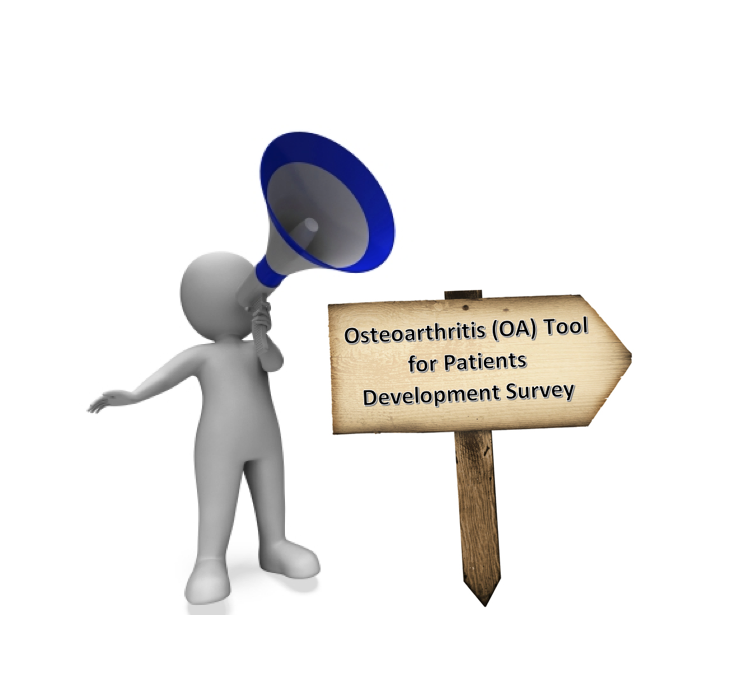 The Osteoarthritis (OA) Information Tool for Patients will assist patients in having better conversations with their doctor or other health care professional(s) by informing them about the care they can expect to receive. The survey will take approximately 10 minutes to complete. Your participation will be anonymous. The deadline to complete the survey is Wednesday, July 25, 2018 at 5pm Pacific Standard Time.